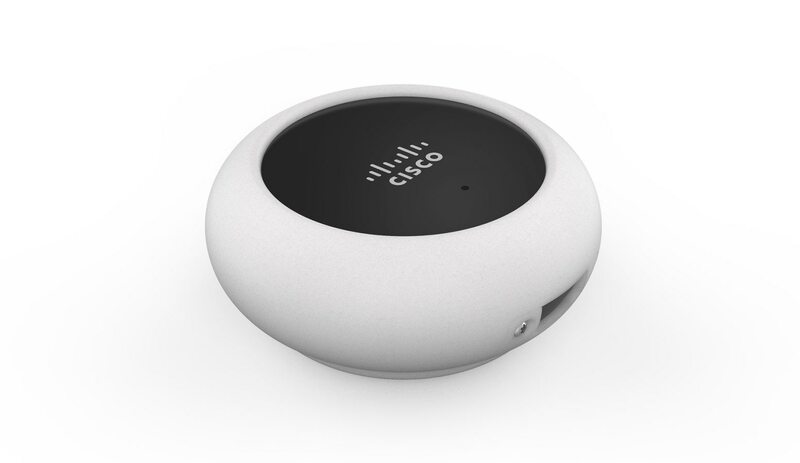 The goal of Cisco Meraki MV cameras has always been to deliver an exceptionally simple experience to customers. Unfortunately, running Ethernet cables across your site to power cameras isn’t always as simple as actually using them. 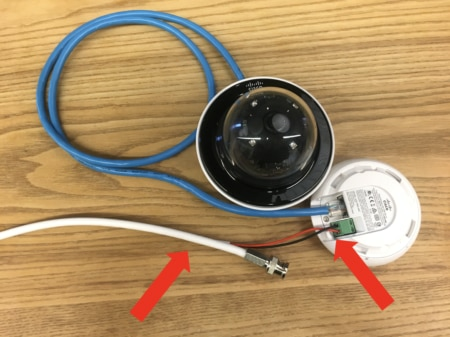 For customers with existing analog camera deployments, the cost of recabling, the associated downtime in coverage, and the rigidity of wired systems were all common barriers for switching to an IP camera system that we knew needed to be addressed. To that end, we designed the Low-Voltage Power Adapter (LVPA) and introduced wireless functionality into our cameras. Using the LVPA, you can now deploy your second-generation MV cameras without needing to run new cables across your buildings to supply connectivity. Instead, you’ll only need access to AC or DC power (e.g., from your existing analog deployment) and Wi-Fi to get your cameras up and running! This gives you the coverage you need, while minimizing additional overhead costs and downtime. What does the LVPA actually do? The LVPA takes AC or DC power input and converts it to PoE output, which is used to power your MV cameras. This eliminates the need to connect to an upstream switch or gateway, as would be required in a traditional deployment. Instead, the LVPA connects to a 12/24V power source, like an outlet or the power cord from an existing analog camera, and outputs PoE to power the MV camera. Your camera will then use its onboard wireless chip to interface directly with your Wi-Fi access point for all video and data streaming. 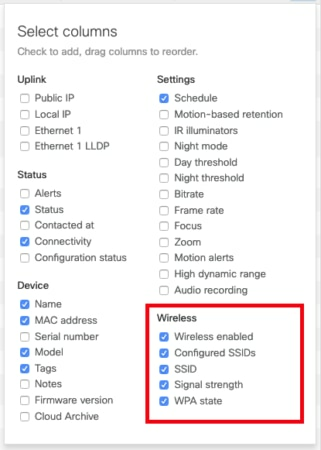 You can monitor the status of your wireless configuration by navigating to Cameras > Monitor > Cameras and adding the corresponding columns as shown below. For more information on wireless configuration, read the MV Wireless Configuration Guide. It’s important to note that camera function does not change at all if deployed wirelessly. Video will still be stored and processed on the edge, meaning it will be retained during temporary network outages — making MV a highly stable and secure alternative to legacy camera setups. With its flexibility, there are many ways that the LVPA can help simplify your Meraki MV deployment. For a bit of inspiration, here are some of the most exciting ways we see customers leveraging the LVPA today! Upgrading analog systems – deploy MV smart cameras to get the same coverage with greater simplicity and security, with minimal disruption and downtime. Remote and outdoor deployments – install cameras with the LVPA in challenging locations, far from the “primary” site. Temporary site security needs – the LPVA allows you to bring MV and security wherever you need it, even running multiple cameras from one cell signal. Flexibility and scalability – use the LVPA to add Meraki smart cameras wherever you need them, without being limited by your cable infrastructure or other hardware. Zero downtime for critical cameras – the LVPA can help minimize downtime during building renovations or other disruptions. If any of these challenges sound familiar to you, chat with a Meraki sales rep to learn a little bit more about what it will take to deploy MV with the LVPA at your sites. If you’ve already installed the LVPA at your site,we’d love to hear about your wireless MV deployment on the Meraki Community!